San Francisco is one of the most beautiful cities on the west coast. Famed for its steep rolling hills, iconic bridges, unique architecture, and its wonderful location on the Pacific Coast Highway. Cosmopolitan and diverse, the stunning Bay Area just gets better with time. Grab yourself a cheap flight to San Francisco and discover how easy it is to travel to North America with Aer Lingus. Connect in Dublin Airport’s Terminal 2 and pre-clear U.S. immigration before boarding your flight - that means you can grab your bags and go when you land in San Francisco! "Every man should be allowed to love two cities - his own and San Francisco," once said author Gene Fowler. 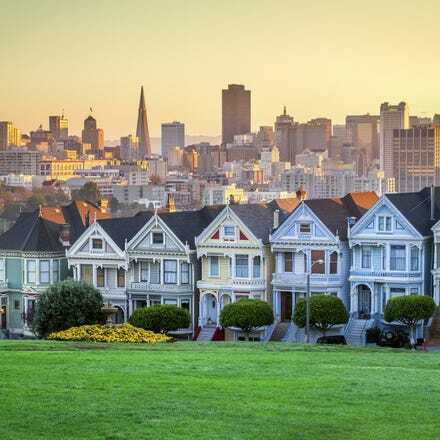 San Francisco, also known as the City by the Bay, is a diverse, colourful, and intriguing destination luring visitors from all corners of the world with its beauty, culture, history and dynamic ambience. It is best known for its steep hills, beautiful panoramic vistas, and excellent cuisine. The eclectic mix of architecture, sandy beaches, ethnic and cultural diversity, and entertainment for all ages makes San Francisco a great choice for vacation. 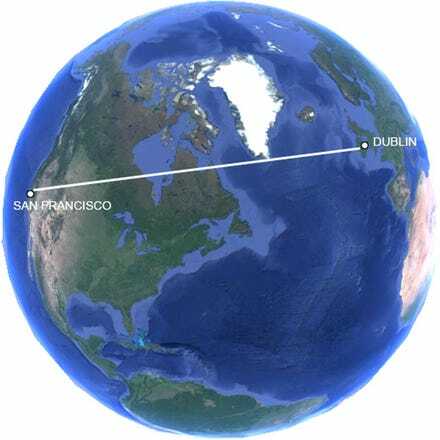 All Aer Lingus flights to San Francisco arrive at San Francisco International Airport (SFO), which is located approximately 8 miles south of San Francisco. San Francisco has the most extensive public transit system on the West Coast. The MUNI-Metro, a light rail System, operates five routes that crisscross the city. BART (Bay Area Rapid Transit) is the regional transit system connecting San Francisco with outlying communities. The MUNI Passport can be purchased at the airport, online or at several locations inside the city. Offers unlimited rides on buses, historical streetcars and cable cars.